I always have three books on the go at any one time. I don’t mean I’m reading three novels all at once – that would be impossible as far as I’m concerned (although I’m sure there are plenty of people who’d find it a doddle). No, what I mean is that along with the one book I’m reading, I’m working on two others of my own – one on my laptop or with pen and paper, and one in my head. I always assumed this was the way most writers worked, but after chatting to quite a few over the last couple of years, it turns out there are as many ways to get a book written as there are authors. Anyway, here’s the process I use. It’s my three book rule. Book One in my Three Book Rule: the novel I read for relaxation. I know some writers don’t read while they’re working on a book themselves, but I simply could not live without reading. And how else can a writer discover what techniques do and don’t work in a novel? I read all sorts, but in the mix will be books by local and, more generally, Welsh and Irish authors, novels that have been recommended to me, novels that have been nominated for or have won prizes, and some by my favourite authors – Emma Donoghue, Colm Tóibíin and Rose Tremain, to name a few. There’ll be detective novels too, and Belinda Bauer and Ian Rankin are among my favourites crime writers. I usually read one and a half books per week – not many by some people’s standards, I know! Book Two in my Three Book Rule: the one I’ve already written and am now revising / editing. This is the book that puts a smile on my face every day. I’ll have finished all the ‘creative’ parts of it and I’ll be tidying it up – thinking about grammar, sentence structure and whether bits need deleting or swapping around. I think of this as the practical part and it’s the bit of writing I enjoy most. There are rules to follow and rights & wrongs, and I find something reassuring in working to a publisher’s house-style. I know this will make me seem weird to many fellow writers, but it’s the part I love. I settle into my special writing chair, put my feet up and enjoy the editing process. Yes, working on Book Two is the best bit – and nothing like working on Book Three. Book Three makes me scared, and takes a long, long time. Book Three in my Three Book Rule: the one that’s in my head. This is the book that’s using up my imagination. It’s why I’m happy to be simply following house-style rules for Book Two – Book Three is absorbing all my creativity. Like all books, Book Three starts with an idea. That’s the seed that hopefully will grow into a full blown novel. I seem to get most of my ideas when I’m listening to music and I find melodies and tones in voices (rather than actual lyrics) can evoke characters and locations. So when I get inspiration, I tend to relate it to whatever songs or singers I was listening to at the time. I’ll think about the character that’s living in my head while I’m doing mundane things around the house or when I’m out shopping, and gradually that character’s story will grow. I won’t be able to explain it to anyone else at this stage. In fact, I won’t want to talk about it at all in case my imaginary character just turns and runs. But at some point, usually months and months down the line, the story will become solid enough for me to believe that I might just be able to write it down. This is my least favourite part of the writing process, the bit where I have to test the story that was in my head and see if it can exist outside it. There are anxious days where I know I have to start writing but I don’t want to. If I start writing the novel only to discover it’s got no substance, then I’m back to the drawing board, hoping for another idea to begin percolating in my head. And you can never choose when that might happen – it could be years! But at some point, I bite the bullet and start tapping away at the keyboard. If the story is one that does survive being typed up, then months and months of writing start. Gradually I’ll begin to enjoy it and start to believe I’ll get to the end of writing the whole thing. And eventually it’ll become the book I’ll be editing in my favourite chair, while – hopefully, fingers crossed & touch wood – another idea is percolating in my head. But thank goodness for Book One in my Three Book Rule – that’s the book where someone else has done all the hard work and I just get to enjoy the end result. I really couldn’t live without it! Can you read a novel for relaxation and write your own at the same time? And does anyone else enjoy revising / editing their own work more than the creative part? 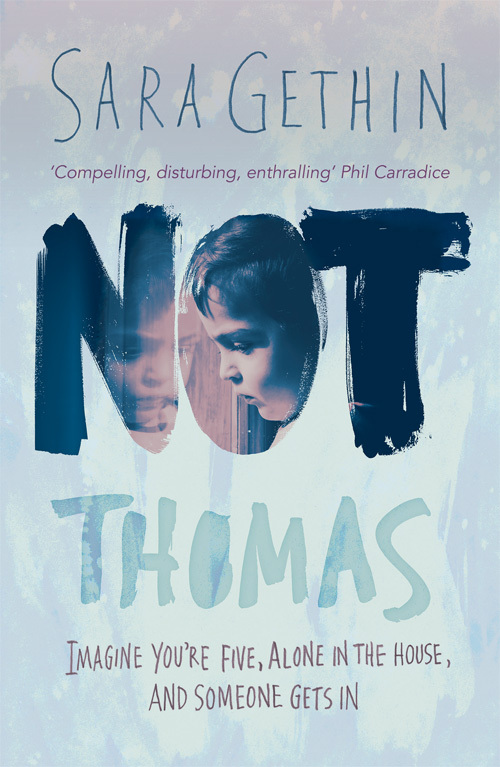 Sara’s debut novel Not Thomas is published by Honno Press and is available to pre-order now on Amazon. In some major ways, I preferred the revising/editing stage over the creation stage. I didn’t exactly enjoy it, but I found it rewarding and fulfilling. Anyway, I hope you’re having a great week reading, writing and getting even more excited about your upcoming publication! Thank you, Dyane! I’m glad you agree about the editing process, even if you don’t exactly enjoy it. I LOVE it! It’s what I’m doing this week – reading through proofs of my novel for the last time. It’s also a bit nerve-racking though, I have to admit, as it’s my last chance to spot any mistakes. Thankfully, I’m not the only one looking through it, so hopefully between us we’ll find the glitches. I looked up Paula on your recommendation and am now following her on twitter. I’m not sure where in Wales she lives, but there are lots of book events going on here, so I might well meet her one of these days. I’ll look out for her and mention you’re a fan. Hope you have a great weekend. I have a friend’s book launch to go to and a poetry event – all on the same afternoon! This is very interesting! I used to think that it was bad to want to work on two projects at once, but now I think it is rather wonderful. And like you, I always have a reading book on the go. (I have to admit I’m usually in the middle of at least two, sometimes three.) I always have an e-book on my phone/tablet and a paper book at home, sometimes two. Thanks, AJ! Yes, e-books – I forgot about those. I usually have a couple on the go on my phone that I’m just curious to dip into because people are talking about them, or they’ve won an award . If I really like them , I’ll buy the hard copy & read the whole thing. I agree, it’s definitely rather wonderful to have a couple of projects on the go at once! Lovely post! Right up my street too. My #1: I agree with Stephen King who says, “If you don’t have time to read, you don’t have the time (or the tools) to write.” (I’m impressed by your reading mind. One & half books a week? Wow! It takes me at least a week to read an average length novel.) My books of choice are a mix of current, contemporary literature, crime thrillers & whatever takes my fancy frankly. I have eclectic tastes. My #2: The one I’ve written & am currently copyedting! It’s the same principle – Book 2 is the one we are writing/editing/about to send out into the world. I love editing – absolutely love it. Copyedits are a bit scary at first but once the process begins, I’m on it. Watching my story take on its final, streamlined shape is a joy. My #3: My current Book 3 is in fact a fourth draft stage. I had to set it aside to crack on with the copyedits for Snow Sisters. It’s more than glimmerings. That’s my #3+1! Like yours this one is half-hidden & precious with secrets. I’m slightly ahead in the process as I’m already writing notes first thing in the morning. That said, they’re largely scribbles & again, like you, I have no real idea if it will work.